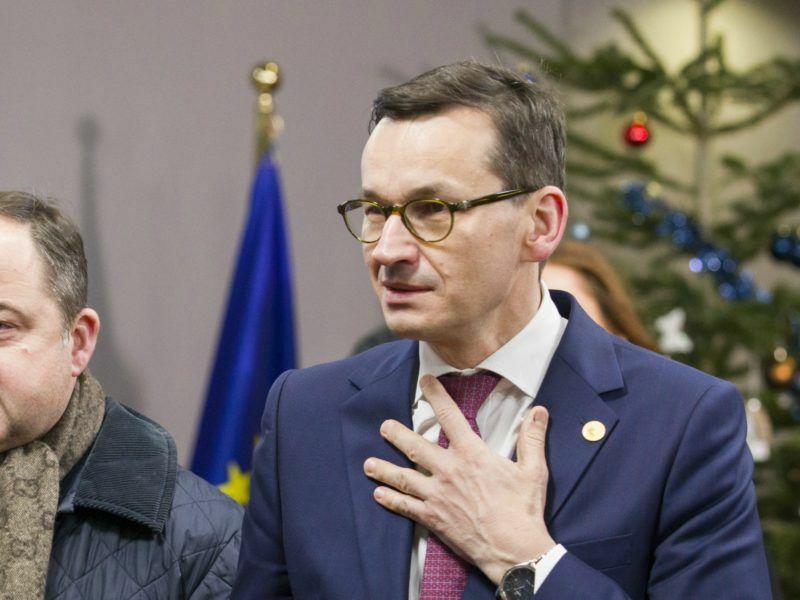 Polish Prime Minister Mateusz Morawiecki will meet Commission President Jean-Claude Juncker for the first time in Brussels on Tuesday (9 January). The rule of law in Poland will be one of the main topics to be discussed during the working dinner, in which Vice-President Frans Timmermans will also take part. EURACTIV Poland reports. Konrad Szymański, Poland’s minister for European affairs, announced on Monday that the meeting would also be an opportunity for a broader discussion on EU-Poland relations as well as on other European issues. “We are not in a state of war with Poland”, Juncker assured before the meeting, emphasising that the Commission “takes the Polish concerns into serious consideration.” “I would also like our Polish friends to take into consideration our concerns,” the Commission president told journalists in Brussels. Juncker announced that a “deepened discussion” with the Polish prime minister will include all issues concerning Europe and Poland. “I am neither an optimist nor a pessimist, but I take into account what our Polish colleagues say. They have to do the same,” he said. He added that the recommendations issued by the Commission towards the Polish authorities in recent months are yet to be fulfilled. “We will not change our policy just because the year has changed,” Juncker said, pointing out that the Commission did not change its negative opinion about the judiciary system in Poland. In the recommendations issued on December 20, the Commission presented actions which the Polish authorities have to implement in order to comply with their reservations towards the changed laws on the Supreme Court, the National Council of the Judiciary and the Constitutional Court. In connection with these reservations, the Commission announced that it would request the member states to acknowledge a threat to the rule of law in Poland (Article 7), which requires a majority of 22 members. Szymański confirmed that Poland has not changed its mind about the judiciary. 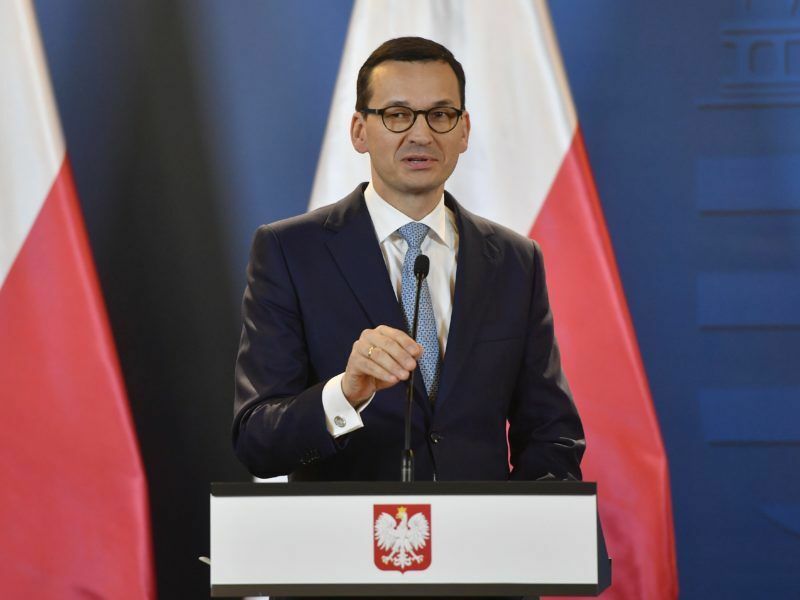 “Prime Minister Morawiecki is determined to conduct a dialogue not only with the EU institutions but also with the member states regarding the sovereign Polish right to carry out necessary reforms,” he declared. At the same time, Szymański also announced that one cannot expect a radical change in mutual relations. Poland and Hungary are winning the battle against the EU over immigration, the two countries’ premiers said Wednesday, with Hungary’s Viktor Orban predicting “a year of great confrontations” with Brussels. In an interview for the German television station ARD, Juncker admitted that he does not believe in the effectiveness of sanctions against Poland and announced that in the dispute between Poland and the European Union he will try to be a “conciliator”. 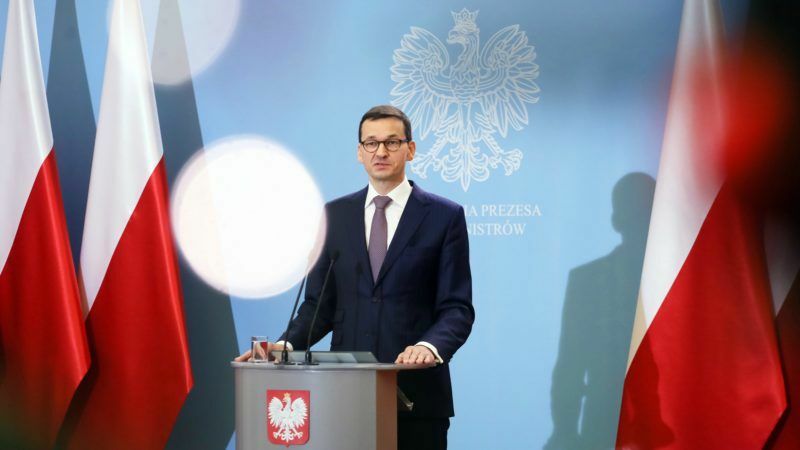 He also announced that he would ask the Polish prime minister not only about the rule of law but also about the division of power, freedom of the press and the Polish refugee policy. Commission spokesperson Margaritis Schinas also confirmed that the meeting would go beyond the rule of law. “The dinner will be an opportunity for a deepened discussion on EU-Polish relations, and more broadly, on European issues and the upcoming European events,” Schinas announced. Joanna Kopcińska, a spokesperson of the Polish government, told journalists on Monday, that the “broad range of topics” will also include migration and security (including energy security), as well as digitisation and the EU budget. @Junker the Greek Minister just said that he was not aware of the asylum that was given to one of the 8 Turks, so that he could not warn the Tsipras government. He also said that this granting of asylum creates a problem with the neighbouring country. Why there is no reporting of this human rights violation from the Greek government and you chose to attack Poland?